Surprisingly, many foods that are high in protein and low in calories are common household food items. The key to balancing protein and calories in food is learning which foods contain the desired amount of nutrients, and which do not. Why Is High Protein Low Calorie Food Important? High Protein foods are important as proteins are macronutrients, meaning that the body needs a fairly large amount of them in order for it to function properly. The body needs calories for energy, as without them, its cells would not survive. Determining the correct amount of protein and calories needed for optimal health lies in learning the nutrient content of various food items, and limiting intake within an acceptable individual range. Eggs are an excellent and inexpensive source of protein, and are a convenient food choice when in need of a quick meal, as they only take a few minutes to prepare. The amount of protein and calories in eggs depends largely on how they are cooked. Egg whites, containing 4 grams of protein and a mere 17 calories, are a good source of the amino acid leucine, which aids in weight loss. Eggs contain carotenoids, lutein and zeaxanthin, which protects our eyes by helping to prevent macular degeneration, an age-related blindness . Yogurt helps to reduce hunger, increase fullness, and delay subsequent eating as compared to lower protein snacks in healthy women. The primary difference between regular and Greek yogurt is that Greek yogurt is made by straining out the extra whey in regular yogurt, resulting in a thicker, tangier, and creamier substance. Which is the healthier choice? Regular yogurt has twice the amount of calcium and potassium, but it also has twice the amount of sodium, carbohydrates, and sugar. Both have protein and probiotics, which keep the gut healthy. In regular yogurt, the plain flavor is a healthier choice as flavored yogurts contain extra sugar. To sweeten plain yogurt, add fresh fruit or honey. Yogurt can be used as a healthier choice when cooking by replacing it for other ingredients when baking, such as butter, oil, shortening, milk, or sour cream. Three ounces of light tuna, canned in water, drained, has 22 grams of protein and 100 calories. Tuna has heart-healthy omega-3 fatty acids, which have been shown to improve cardio-vascular health in those with coronary heart disease . DHA and EPA deficiencies have been linked to symptoms of major depressive disorder as well as an increased risk of suicide and cardiovascular disease . Tuna offers many health benefits, as it helps to lower blood pressure, reduces cholesterol levels, aids in weight loss, boosts the immune system, prevents cancer, and increases energy. Also known as “pepitas”, is Spanish for “little seeds of squash”. One cup of whole, roasted pumpkin seeds has 12 grams of protein and 285 calories. This tasty FODMAP snack provides a rich source of magnesium, which is vital to maintaining good blood pressure. Pumpkin seeds are anti-microbial, as they have been shown to aid in the body’s elimination of dangerous parasites in the intestines . They are also a good source of tryptophan, an amino acid which the body converts into serotonin, known as the “feel-good” hormone, and melatonin, known as the “sleep” hormone. A study shows that a mixture of pumpkin and flax seeds may prove helpful with diabetic complications. They may also reduce the risk of developing type 2 diabetes. One cup of non-fat cottage cheese has 15 grams of protein and only 100 calories. 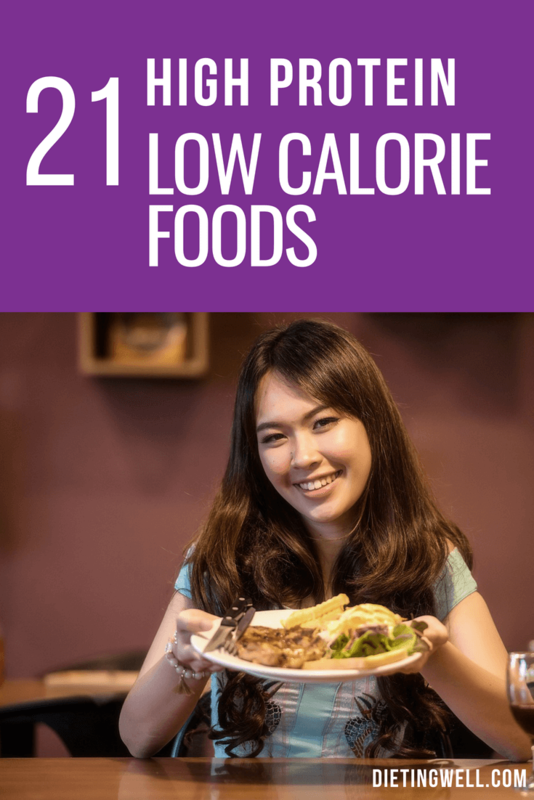 Known as a low-energy-density-food, it is an excellent choice for weight management as it has a low amount of calories within a high volume of food. The CDC recommends these types of food for weight management. While low in sugar and carbohydrates, this nutritious food is high in calcium, and is helpful in maintaining healthy bones and teeth, as well as in the proper functioning of nerves. Two tablespoons of peanut butter have 8 grams of protein and 188 calories. Monounsaturated fats have been shown to contribute to the prevention and control of high blood pressure in general populations. An excellent alternative to red meat, turkey breast is packed full of protein. Three ounces of roasted turkey breast has 24 grams of protein and only 135 calories. While dark meat has more vitamins and minerals, it has more fat and calories than white meat. The Therapeutic Lifestyle Changes (TLC) diet, created by the National Heart, Lung and Blood Institute, and endorsed by the AHA, lists turkey as one of the food items that should be consumed to improve overall health. The Quinoa Corporation calls it the “Supergrain of the Future”, as it has twice as much fiber as most other grains. One cup, cooked, weighing 185 grams, has 8 grams of protein and 222 calories. An excellent choice for vegetarians, as quinoa is one of only a few plants that are considered a complete protein, meaning it has all nine essential amino acids. Quinoa has high levels of antioxidants quercetin and kaempferol, and studies show these may protect against chronic diseases, including cancer. Anchovies are best eaten fresh as canned anchovies contain a high amount of sodium. A serving of five fresh fillets has 4 grams of protein and 26 calories. They are a rich source of iron, which transports oxygen throughout the body and is helpful to white blood cells’ ability to kill bacteria. For those who wish to reduce premature signs of aging, anchovies contain selenium, which helps skin keep its natural moisture. One study discusses the role selenium plays in increasing skin elasticity. One cup of cooked lentils provides 17 grams of protein and 230 calories. Cooking lentils do not reduce their overall health benefit. Researchers studying the effects of resistant starch, found in lentils, for their ability to treat or prevent inflammatory bowel disease and bowel cancer found promise in the prevention of other types of cancers, as well. For those suffering from dietary constipation, increasing dietary fiber may help resolve the issue. Lentils are a good source of soluble fiber. A popular meat alternative for vegetarians, tofu is made from soybean curds, and is a gluten-free, zero cholesterol food item. One block of hard tofu, weighing 122 grams, has 15 grams of protein and 177 calories. Soy products, such as tofu, have been shown to relieve some of the symptoms of menopause, such as hot flashes, due to the phytoestrogens they contain. Studies are being done to examine the role of soy in the prevention of breast cancer. A 100 gram serving of raw oats contain 17 grams of protein and 389 calories. Oats contain more protein than most other grains. Oats have long been known to reduce LDL cholesterol, and prevent cholesterol oxidation, a risk factor for heart disease. There is evidence that this gluten-free food item may improve symptoms in those suffering from rheumatoid arthritis. Not only is this fish high in protein and low in calories, it has zero carbohydrates and sugar. It is also a good source of B12, B6, B3, potassium, selenium, and phosphorus. A 100 gram portion of halibut, cooked with dry heat, has 22 grams of protein and only 111 calories. Halibut is a complete protein, meaning it has all 9 essential amino acids that the body cannot produce on its own, so they need to be ingested. Halibut is a good source of niacin, which shows promise for better cognition later in life when supplemented throughout childhood, along with other B vitamins. It’s a good source of magnesium, shown to be beneficial in treating depression, migraines, asthma, and coronary heart disease. Green peas are the immature seed of field peas, which have been consumed since the middle ages. They were easy to grow and saved countless people from starving. Fresh green peas weren’t popular until the 16th century. One-half cup of green peas has 4 grams of protein and only 62 calories. They have a very high protein content versus other vegetables. For example, they contain four times the amount of protein as cooked carrots. Green peas contain a high amount of vitamin K, which has been shown to be an anticancer agent. They have a relatively low glycemic idex (GI), a measure of how quickly blood sugar rises after eating food. Diets that contain plenty of low-GI foods have been shown to help regulate blood sugar levels. Almonds are higher in fiber, calcium, vitamin e, riboflavin, and, niacin than any other tree nut. Per ounce, they have 11 grams of protein and 163 calories. Almonds are one food source that has been shown to reduce blood sugar in diabetics due to their high magnesium content. One study indicates that 25-38% of type 2 diabetics have low magnesium. One study indicates that, along with controlling other dietary factors and known cardiac risk factors, ingesting nuts is shown to reduce the risk of sudden cardiac death. 100 grams of salmon have 22 grams of protein and 131 calories. Fish oil, a product of salmon and other fish, is one of the primary food items shown to be effective in treating major depression, and one study shows that fish oil in combination with anti-depressant medications worked better than either method alone when treating major depression. Salmon is high in potassium, and shown to play a key role in maintaining healthy blood pressure. In diets containing potassium supplements, an analysis of 31 studies found that blood pressure was significantly reduced, especially in those with a high-sodium diet. Known by many names, the navy bean bean is named after the U.S. Navy as it was a predominant staple in their diet since the 1800’s. A 100 gram serving of navy beans has 22 grams of protein and 354 calories. Navy beans are naturally gluten-free, so they are an excellent source of food for those with celiac disease who must maintain a specific diet or anyone who is allergic to gluten. Navy beans contain a good amount of copper, which plays an integral role in the synthesis of elastin and collagen. Collagen aids in the maintenance of healthy-looking skin and also in the healing of wounds. Navy beans are also a good source of potassium. Studies show that as little as four 100 gram servings of legumes per week, is associated with a 14% lower risk of heart disease. Three ounces of grilled boneless chicken breast has 26g protein and 128 calories. Chicken has choline, an essential nutrient which studies show may assist in the prevention of Alzheimer’s, and may also be beneficial for the neurological health of an unborn fetus. Three ounces of 85% lean ground beef, broiled, has 22 grams of protein and 213 calories. Lean ground beef can be included as part of an intense diet program, such as a Protein-Sparing Modified Fast (PSMF). It has creatine, which studies show may reverse the loss of muscle mass, bone density, and strength in older adults. Studies also show that cognitive processing, whether due to lack of sleep or the aging process, is improved with creatine. Canadian bacon is cut from the loin of the pig and has much less fat and fewer calories than regular bacon. One six-ounce package of unheated Canadian bacon has 35 grams of protein and 267 calories. It is an excellent source of vitamin D, and necessary for good overall health. Deficiencies in vitamin D have been shown to result in bone fractures in elderly women who have rheumatoid arthritis. One slice of Swiss cheese has 8 grams of protein and 106 calories. Low in fat and sodium, it is one of the healthiest cheese choices overall. 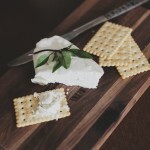 Swiss cheese is among the foods listed in the Specific Carbohydrate Diet (SCD), a diet plan popular among those suffering from digestive disorders. It has plenty of calcium, a deficiency of which, along with vitamin D, is shown to contribute in the development of high blood pressure, colon cancer, breast cancer, and bone fragility. Protein and calories are both a valuable part of any diet. Maintaining a healthy caloric intake while eating foods that contain other valuable nutrients is incredibly important to good overall health. The list provided here offers a good start to maintaining a healthy and balanced diet which is rich in protein and low in calories. If you re not sure how much protein is the right amount to eat for breakfast, Zeitlin says you should aim to get about 15 grams. These 21 high-protein breakfast recipes all contain around that amount of protein as well as plenty of complex carbs, fiber, and healthy fats. And even though none of them are over 300 calories, they re all pretty darn delicious.